Bring hotel chic to your bedroom scheme with the Dante Nightstand by Daytona. Hand-crafted from solid walnut, the night stand is finished with a dark walnut veneer and burnished brass handles. The drawer is lined with high-quality fabric and installed with soft metallic runners for a luxury finish. This sophisticated piece is complemented by a Calacatta gold marble top that contrasts beautifully with the rich wood. 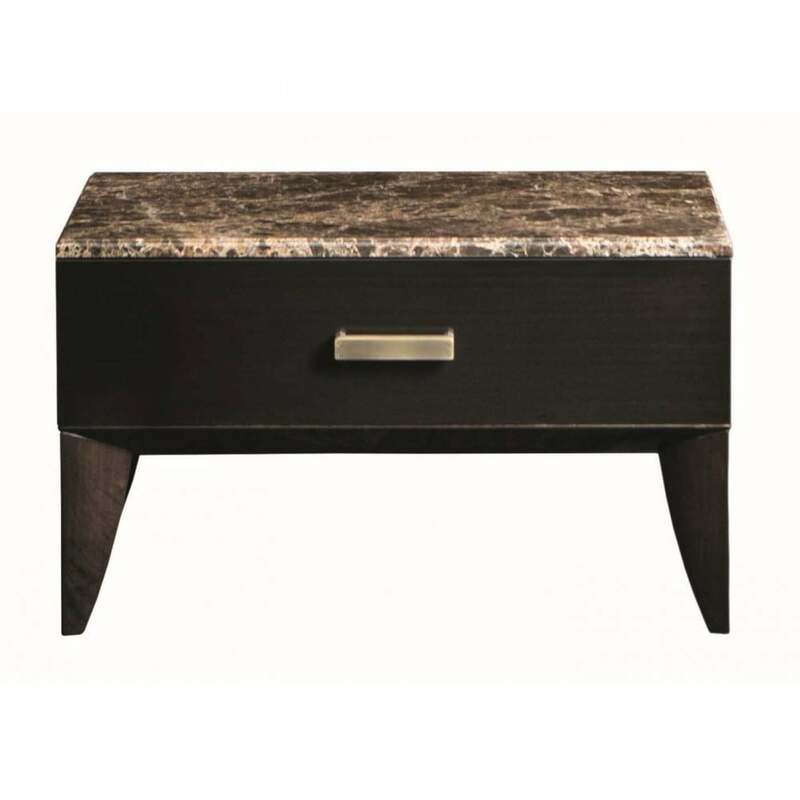 The night-stand table top is available in a variety of finishes including precious marble, wood and coloured lacquer. Pair with the Florence bed for a luxe look that takes style cues from the 1930s Hollywood era.